All volunteers are responsible for arranging their air travel. 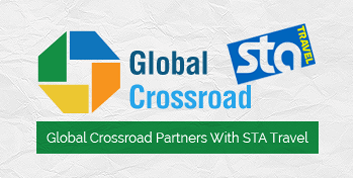 STA Travel in the United States has agreed to work with Global Crossroad’s volunteers in arranging flights. If interested, STA’s number is 1-877-777-8717. Clothing: Light loose clothing i.e. Note: To avoid mosquitoes, bring Non-perfumed items. • Documents: Passport, immunization booklet, placement details, travel insurance information, contact phone numbers, maps. 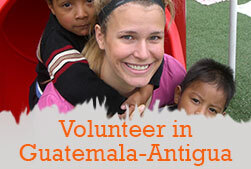 • Extra money: The program fee covers 3 meals (local food) each day and lodging. However, you may need additional money for personal expenses. Please carry traveler’s checks or debit cards instead of large sums of money. • Clothes (during the Monsoon season, raincoats and umbrellas would be extremely helpful) – Please do not send heavy/winter clothes as the temperature in Sri Lanka is quite warm all year round. • Please make copies of your travel documents, tickets, travel insurance, ID, and immunization booklet. We strongly suggest you register with the U.S. State Department (http://travelregistration.state.gov) if you are a United States citizen or with the state department in your respective country. This records your foreign trip and residence information so that your government can more easily assist you in the event of an emergency. • Please make sure to lock your luggage and keep your passport, important documents, money, and other valuables in a safe place. When you arrive in Sri Lanka, please lock your room when you go out. Incidents of theft have been reported. Consult your doctor before travel and take his/her advice in relation to your relief work. Don't drink the water in Sri Lanka! Stick to soft drinks or bottled water. Check bottles to make sure they have the original seal and are World Health Organization (WHO)-approved. Immunizations against Hepatitis A, polio, and typhoid are strongly recommended. Malaria and cholera have been reported in the area. Ask your doctor to recommend an anti-malarial medication. Follow directions—many of these medications should be taken prior to leaving and for a short time after you return home. It is always better to have a malaria preventative while travelling during the monsoon season. If not, the mosquito might take you to the bed! Pack Imodium or a similar preparation to alleviate the symptoms of diarrhea, as well as a powdered electrolyte mix for rehydration. Sunburn and heat exhaustion are significant risks at all times of the year. Drink plenty of water to minimize dehydration. Most relief work is physical. Be careful that you do not work to the point of exhaustion. Rest when you feel tired. Do not rush. Work at your own pace. Work with gloves, a mask, and work shoes. Please make sure you are protected from dust, insects, etc. If you are too tired, take a whole day of rest—just sleep in your quarters. If you notice any health problems or symptoms, please consult our in-country coordinator. • Don't drink the water in Sri Lanka! Stick to soft drinks or bottled water. Check bottles to make sure they have the original seal and are World Health Organization (WHO)-approved. • When invited to a local home, try to bring bottled drinks for everyone to avoid drinking local water or juice. • Sunburn and heat exhaustion are significant risks at all times of the year. • Drink plenty of water to minimize dehydration. Try to empty your bladder at lease three times daily to avoid kidney and bladder problems. • Most relief work is physical. Be careful that you do not work to the point of exhaustion. Rest when you feel tired. Do not rush. Work at your own pace. • Work with gloves, a mask (optional) and work shoes. Please make sure you are protected from dust, insects, etc. • If you are too tired, take a whole day of rest—just sleep in your quarters. 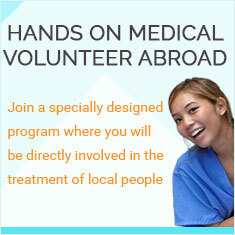 • If you notice any health problems or symptoms, please consult our in-country coordinator. • Public affection between males and females is inappropriate in Sri Lanka. However, you will see many males holding hands or sitting close to each other. This is a common display of affection between friends and is not a sign of homosexuality. • One cultural tendency of Sri Lankans is the "head waggle." Instead of nodding their heads to signify "yes," Sri Lankans shake their heads back and forth—a sign that means “no” to westerners, but “no problem!” to Sri Lankans. • Many of the local people on the sites where construction work is being carried out will often invite volunteers into their home for lunch or dinner, and they often provide snacks for the volunteers during the day. It’s important to remember when entering a home in Sri Lanka that it’s a common practice to remove your shoes first. • Also, if you are invited to dinner, it is nice to bring a small gift. Some of these people have very little furniture and few or no kitchen utensils, so take note of what the houses contain when they first invite you in and try to bring something useful. Some suggestions are mentioned in the donations section. • Often, volunteers bring their own drinks in bottles (water, soft drinks) to avoid having to drink the water as some of the locals may make juice for you. Make sure you bring enough for everyone dining (including the locals) so as not to offend. • Another way you may socialize with the locals is to invite them to visit you. You could arrange a small gathering in a local restaurant and invite them to join you. Post office hours: Monday-Friday, 8 a.m. to 5 p.m.
Telephone calls: Direct dial is available in most of the country. Dial 101 for trunk call connections where direct dial is not available. International direct dial (IDD) is available. International inquiries: Dial 134 in Colombo or (01)324144/329792 outside Colombo. Electricity: 230-240V. 50-cycle AC. Three-round-pin sockets. Weights and measures: Metric system of measurement. Available souvenirs: Carved wooden masks, leather goods such as bags and belts, and silver and gold jewelry. Precious gemstones such as rubies and sapphires are widely sold, especially near Ratnapura. Bargaining is the order of the day. Beware! Some street vendors and dealers offer irresistible bargains on gems. However, when you return home you may discover the stone you have bought is worth far less than you paid for it, or it may be worthless. Reputable gem centers in Colombo are the only reliable place to buy stones. Avoid buying goods made from ivory, tortoise shells, or reptile skins of any kind. These are illegal and such purchases will be confiscated by customs when you return home.